Ripe seasonal fruits. Fragrant vanilla, toasted nuts, and spices. Heavy cream and bright liqueurs. Chocolate, chocolate, and more chocolate. Every luscious flavor is grist for the chill in David Lebovitz's ecstatic guide to the pleasures of homemade ice creams, sorbets, granitas, and more. With an emphasis on intense and sophisticated flavors, an international flair, and a bountiful helping of seasoned technique, this collection of frozen treats ranges from classic and comforting (Chocolate Sorbet) to contemporary and cutting edge (Mojito Granita). 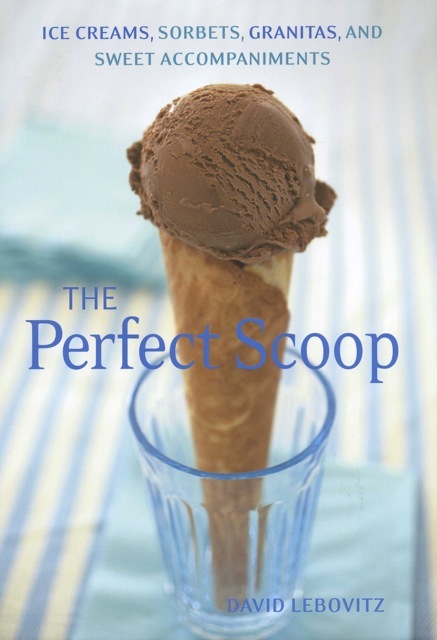 Spilling over with scrumptious sauces, crunchy toppings, and surprising mix-ins, The Perfect Scoop transforms simple ice cream into a knockout dessert.